Russia and China have vetoed the UN resolution on Syria, urging political dialogue instead of proposed tough sanctions on Bashar al-Assad's regime. The move caused outrage from the US. 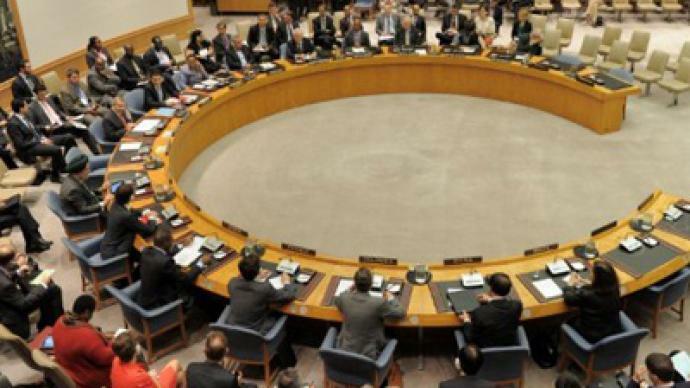 Members of the UN Security Council have voted on a draft resolution on Syria on Tuesday. The resolution was not passed with nine votes in favor, two against, and four abstentions, with Russia and China voting against the proposed resolution. 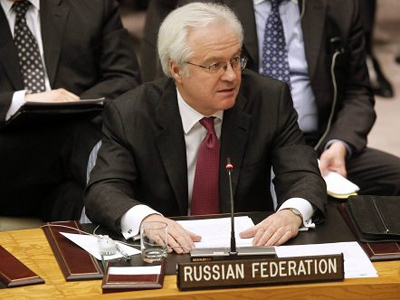 Russia’s envoy to the UN, Vitaly Churkin, said that Russia did not support the resolution because it was based on a totally different philosophy, “a philosophy of confrontation," and contained "an ultimatum of sanctions." China's ambassador, Li Bandong, said his country had opposed the resolution because "sanctions, or threat of sanctions, do not help the situation in Syria but rather complicate the situation." In order for the resolution to be adopted, nine of the 15 Security Council members had to support it, with none of the veto-wielding members voting against. 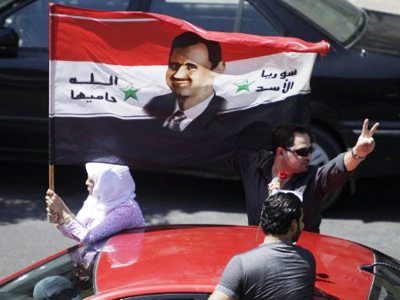 The vote followed weeks of debate over whether to impose sanctions against Bashar al-Assad's regime. Many countries had been working on finding a text that could result in a compromise among the 15 Security Council members. Russian Deputy Foreign Minister Gennady Gatilov says the current form of the UN resolution on Syria was “unacceptable” as it envisaged sanctions and did not call on Assad's government to initiate talks with opposition, Interfax news agency reports earlier on Tuesday. Russia has only used its power of veto seven times since the collapse of the Soviet Union. In the case of Syria, it felt that it had to do everything possible to stop the resolution from being implemented in order to prevent a scenario similar to what happened in Libya. Russia and China exercised their right of veto, as the text of the resolution left the door open for further sanctions. In March this year, Russia abstained from the vote on a mandate establishing a no-fly zone over Libya. 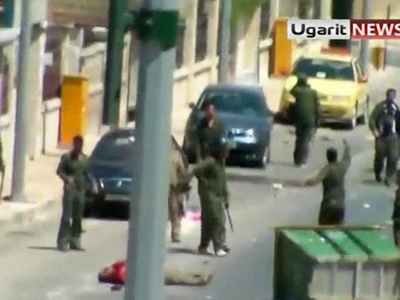 As a result, NATO intervened into the conflict and helped anti-Gaddafi forces topple the colonel. Russia is the only permanent member at the UN Security Council which is trying to mediate the peaceful solution to the crisis in Syria – it has hosted representatives from both President Bashar Assad and the opposition. Moscow has also sent a fact-finding mission to Syria which concluded that democratic reforms are being implemented and that Syria needs more time to put them into force. Russia continues to insist that a one-sided approach could only make matters worse. It repeatedly said that it would not support any text in a resolution that would leave the door open for sanctions, so Britain, France, Germany and Portugal dropped the word “sanctions” from their draft resolution. 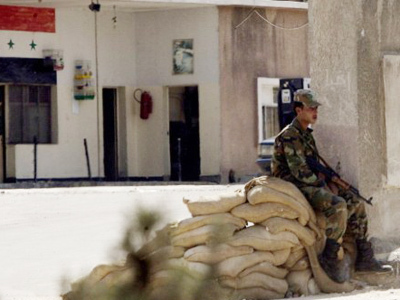 The US, Turkey, and other countries had independently imposed sanctions against President Bashar Assad’s regime. But all this time Russia has been spearheading further negotiations, and rejected resolution drafts put forward by other UN members. Protests in Syria erupted in March, and during the government’s harsh response more than 2,700 people have since died, according to the UN’s own figures. China’s and Russia’s veto is very important and the correct decision, which will be beneficial for the peaceful settlement of the Syrian conflict, Xiang Songzuo, deputy director at Beijing’s Center for International Monetary Research told RT. However, despite the veto there is a very strong likelihood of the US acting unilaterally in the conflict and taking action against Syria, Mr. Xiang insists. Russia to Syria: Stop violence now!